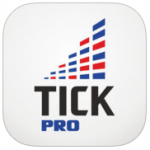 The full-service stockbroker, Reliance securities provides a mobile trading app titled Reliance Securities Tick Pro. 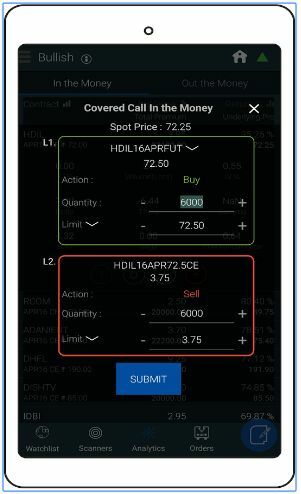 Reliance Securities mobile app allows you to trade across multiple segments including Equity, Derivative Trading to go along with Currency Trading. 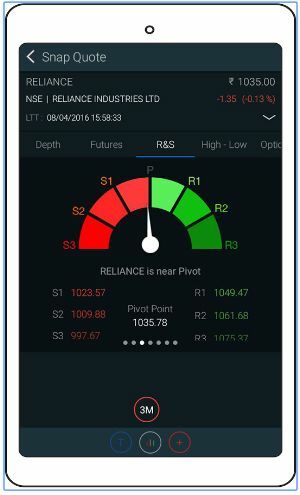 The stockbroker has designed a separate App, Reliance commodities for users looking to trade or invest in Commodities segment. Overall, Reliance securities provides decent performing trading applications, be it web-based applications or terminal solutions. 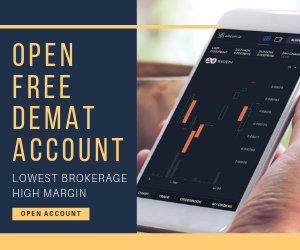 At the same time, the broker has set up a wide range of trading softwares across different devices to make sure different users with various preferences can pick a platform as per their respective choice. 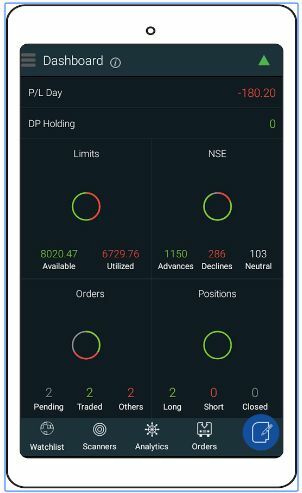 Coming back to the point of Reliance Securities Mobile App, the app comes with different features with a decent update frequency cycle. This allows users to access multiple types of new features on a regular basis and on top of it, the bugs existing in the earlier version are taken care of. Once you download and install the mobile app onto your phone, you are provided with the following login screen. Here you are required to enter a valid login Id and password before you start trading. The Guest login does not work, but from this screen, you can employ functionalities including Forgot password, unblock account etc. After you are logged into the application, you are taken to the Dashboard screen where you are shown information on your DP holding, order status etc. along with profit or loss value for the day. 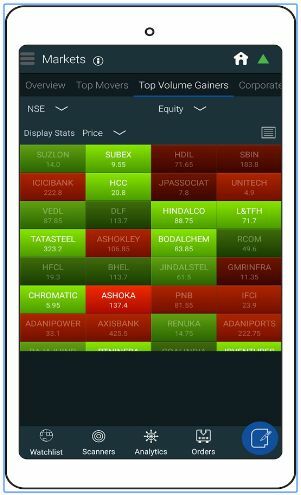 At the same time, if you tap on the menu at the top left, you will find the list of features you can access using this Reliance Securities mobile app. 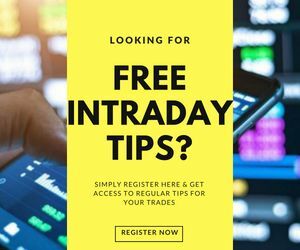 You can transit to the ‘Markets’ tab where you provided information at different levels such as Top gainers of the day, top losers, top volume gainers and so on. All this information is provided in form of Heatmaps where specific colour coding is used by default. Where Green colour implies growth and red colour implies a drop in the stock value. You do have the option to view this information in list format as well. 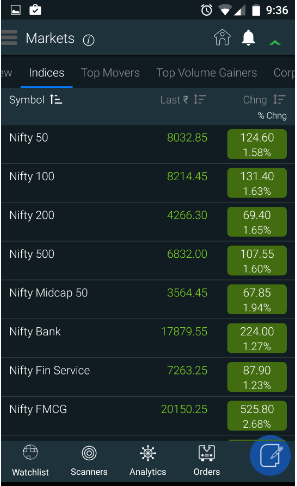 Here is how the screen looks like when different indices are displayed in the list format. 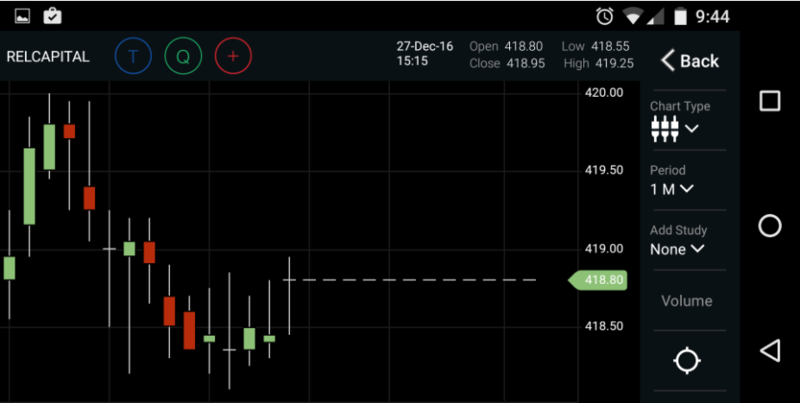 You can toggle across different information blocks, tap at indices, view stocks and more. The details shown here are clearly set up with complete segregation. To perform your technical or fundamental analysis, you can use different types of charting flows along with technical indicators. You have the option to change the duration to as short as 1 day to as long as 10 years. Next up is the Snap Quote feature. 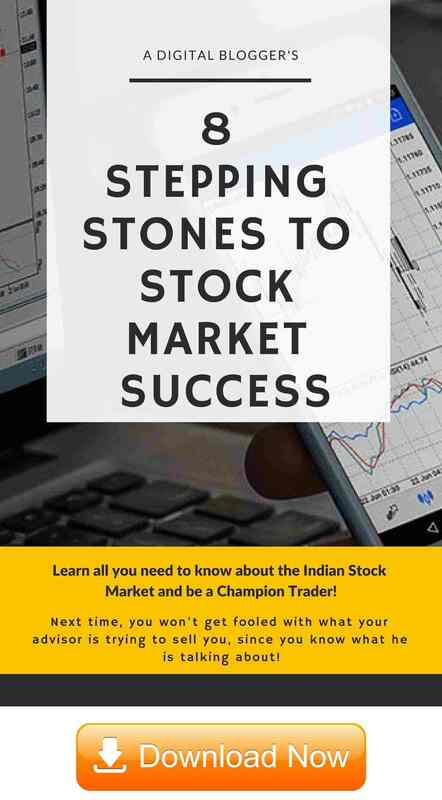 where you can view information around a stock including its high/low, R&S, pivot point, current market price (CMP), monetary and percentage based growth or drop in the stock value and so on. To place an order (buy or sell), you are required to place the quantity you are looking to execute in the order along with the limit price. 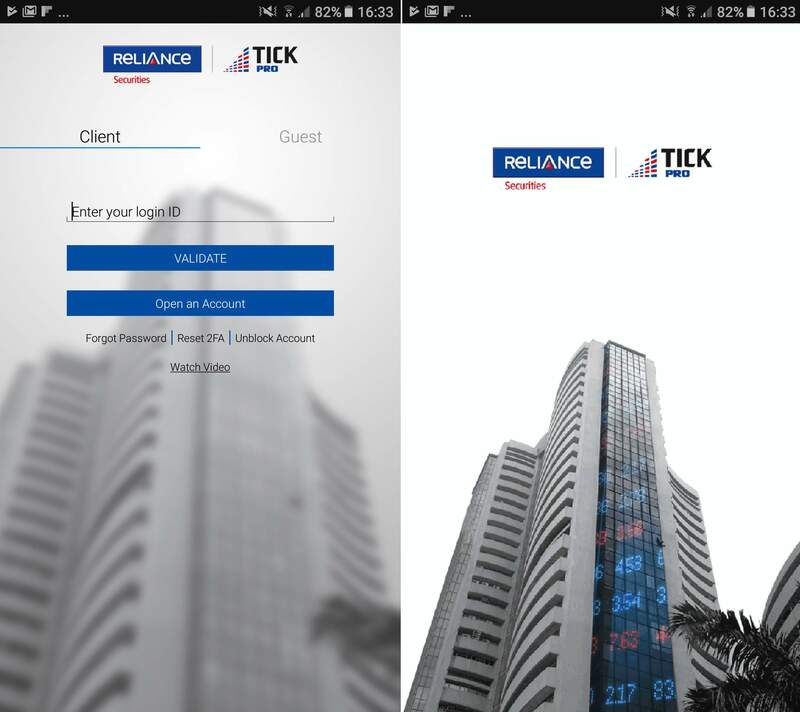 Once set, you can press the submit button to execute the order from this mobile app of Reliance Securities. 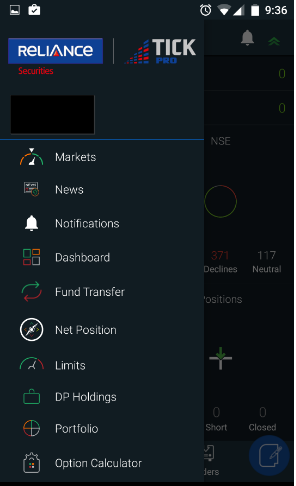 You can also use ‘Scanners’ for detailed fundamental and technical analysis within the mobile app. 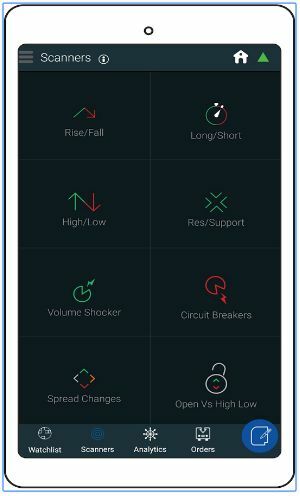 As shown in the screen below, you can make use of different Big data analytics including Rising and Falling Stocks, High Low Breakers, Volume Shockers, Spreads, Strong and Weak, Resistance and Support etc. 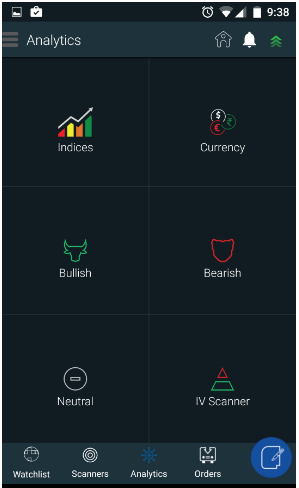 With this, you can save the crucial time of sorting/filtering everything on your own and have a quick glance at specific stocks that are performing good and bad at different levels in the stock market. Users looking to make sure of analytics and perform advanced analysis can use the analytics feature. This is application across indices, trading segments, market behavior and more. By using this feature, you can perform lengthy analysis in quick time. You can also use ‘Option Calculator’ feature where you can know the profit potential of your option trades. This brings in some objectivity in your decision-making process before you place the order. Multiple types of features for analysis including scanners, option studies, analytics and more. The app comes with dual level authentication with password and security questions/images. The mobile app logs out automatically after an inactivity of 15 minutes. Fund transfers between trading and bank through the mobile app is allowed. You cannot trade in the commodities segment or mutual funds using this mobile app. Relatively bulky in size, especially for iOS users. Few issues with the usage of the ‘Back’ Key observed by various users. Are you looking to have a discussion and start trading on the stock market? Just provide your details in the form below and we will set up a callback for You, right away!